Are you concerned about how to repair copper pipes inside a concrete slab? If you have leaking copper pipes in concrete slab or behind bricks and cinder blocks, you have a right to be concerned. Repaired pipes that are embedded in concrete and located behind masonry can be expensive because the plumber has to dig or drill through the surface in order to reach your pipes. Once the pipes are repaired, you’ll have to hire another company to fix the damage to the concrete and/or masonry, which can be extremely costly. 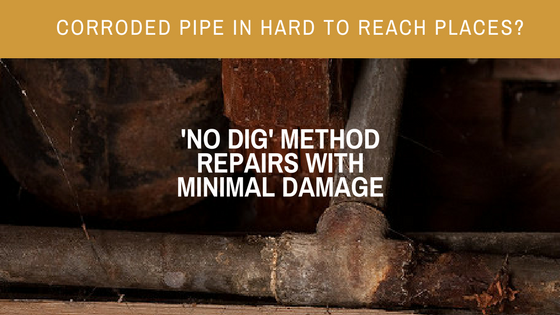 Thankfully, there is a no dig option when it comes to repairing copper pipes in hard to reach locations. Copper pipes are the go-to option when it comes to installing underground water lines. This is because the copper pipes generally last 50 years or more. It is resistant to corrosion. It has anti-bacterial properties, and it is an economically and environmentally sound choice for potable water supply lines. This means that your building may have underground copper water pipes, and if your building was built before 1967, those copper water lines may be nearing the end of their useful lives. Unfortunately, just because copper is resistant to corrosion, it doesn’t mean copper can’t corrode, especially if it’s installed underground or inside concrete slabs. The number one cause of copper pipe corrosion is the water itself. If the water flowing into the building through the copper pipes is acidic or contains a lot of dissolved solids, the acidic nature of the water can corrode the copper pipes, creating pits, cracks and holes. If the copper pipes were joined using lead solder, the solder can break down, creating leaks around seams, joints and fittings. If the copper pipes are installed directly into the soil, the soil itself can cause corrosion, especially if the soil contains a lot of sulfide or chloride. Here at Nu Flow, we have the pipe repair technology to repair your copper pipes without destroying your concrete or masonry. This is because we use epoxy coatings and pipe liners to seal and restore your copper pipes in concrete slab. For potable water pipes, we generally use epoxy coatings. This is a thick, viscous liquid that is blown through your copper water pipes. Since the material is blown through your pipes, only a small hole needs to be cut to reach the pipe, and in many instances, no holes need to be cut because we can perform the process at the nearest access point, like a clean-out point. As the epoxy moves through your potable water pipes, it coats the entire internal diameter, sealing small cracks and pinhole leaks. Once it is cured, the epoxy forms a barrier between the water and the pipe, which prevents future corrosion and extends the useful lives of your copper plumbing pipes. 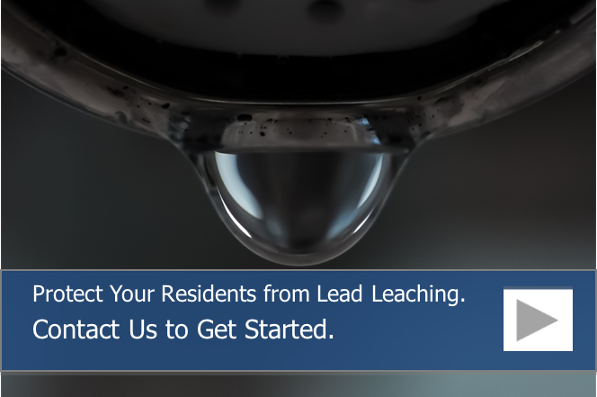 To learn more about how our trenchless technology can help repair your copper pipes while extending their useful lives, give us a call at 815-790-9000. We serve all of Chicago and the surrounding suburbs. Is there nu flow available in Cleveland, Ohio?